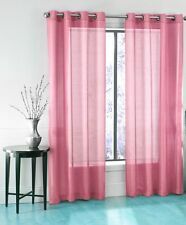 2 Eclipse Samara Blackout Energy Efficient Curtain Panel Pink Rose Rosa 42"x84"
1 BRONZE 8 GROMMET SHEER WINDOW PANEL CURTAIN TREATME DRAPE RUBY LIGHT PINK 63"
2 FAUX SILK WINDOW PANEL SEMI SHEER CURTAIN DRAPE GROMMET NANCY LIGHT PINK 95"
VALANCE SCARF SWAG VOILE SHEER ELEGANT CURTAIN WINDOW DRAPE 35" X 216"
2 PANELS GROMMET FAUX SILK WINDOW CURTAINS DRAPE TREATMENT MIRA 84"
Provide an attractive divider to an open doorway, help keep flies away. 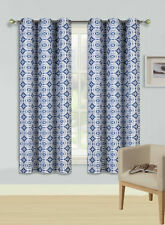 Heart fringe door curtain for adding style to any window or doorway. 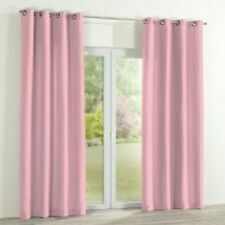 Subtle door curtain with heart design which makes it appear as though the love hearts are gracefully falling to the ground. 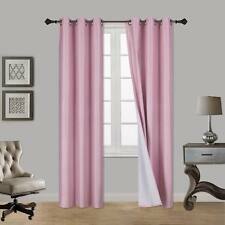 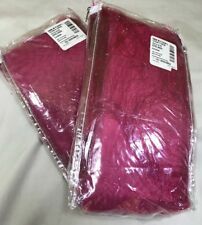 Bathroom Window Curtain Set W/Tie Backs & Ruffle Valance Lauren 70"x45"
2 PANELS VOILE SHEER FABRIC ELEGANT WINDOW CURTAIN DRAPE USE MANY STYLES 52"X84"
ASSORTTED LIGHT DARK COLORS IN SIZES 63" 84" 95" 108"
WINDOW SHEER SCARF VOILE WINDOW CURTAIN DRAPES VALANCE 37"X216"
63" 84" 95" 108" Long 100% ROOM DARKENING GUARANTEE! 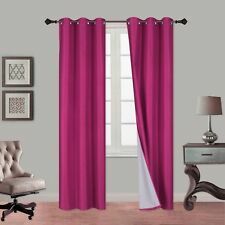 Fully Hemmed on all 4 edges, 25 Colors, Sizes 63 84 90"
2PC Insulated Lined Heavy Thick Blackout Grommet Window Curtain Panels KK92 108"